This exhibit explores life during displacement. 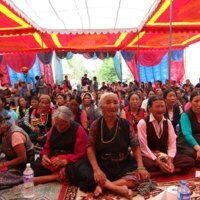 After the 2015 earthquake, surviving members of the Langtang community were internally displaced and settled at the Yellow Gompa in Kathmandu. 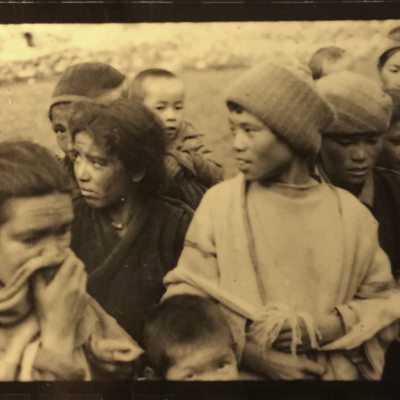 This exhibit features family photographs that survived the earthquake. 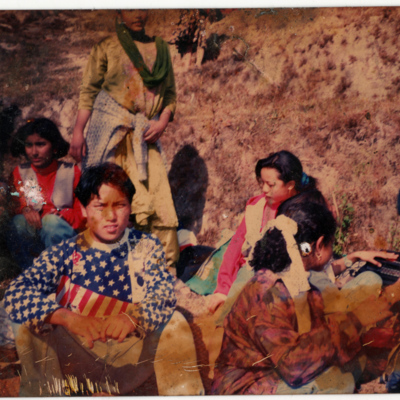 Members of the Langtang Memory Project scanned photographs at various households. There is also a selection of photo fragments that were found amongst the rubble. 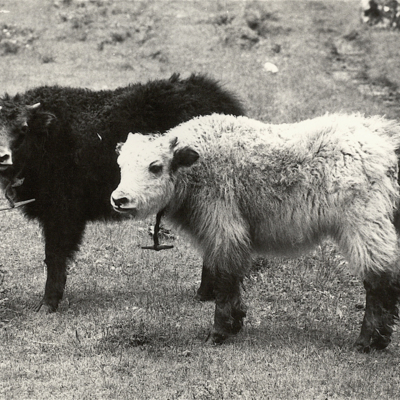 A walk through time from the first settlers of the valley, to the development of Nepal's first cheese factory cooperative, to the hide outs of Tibetan freedom fighters, and the first water systems installed by Peace Corps volunteers. 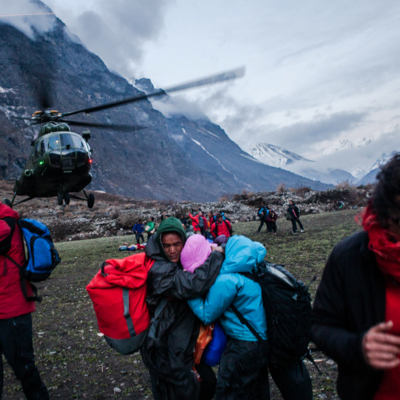 View geo-loacated photos from the Langtang Valley in Nepal. Sort your views through time, looking at historical photos juxtaposed agaisnt modern ones. Explore geological changes in the valley evident through glaciers and the recent earthquake. 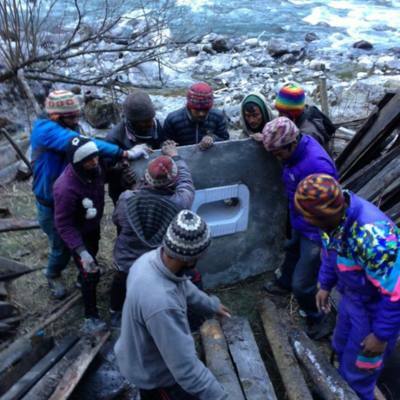 "Langtang Rising" is the culmination of an auto-ethnographic project featuring images taken by the Langtangpa that documents their culture and community before and after the earthquake. These photos are curated from the results of a workshop faciliated by Picture Me Here, along with other photographs the participants had. 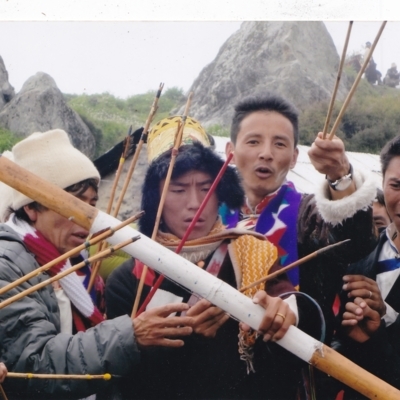 This exhibit highlights some of the unique culture and traditions of the Langtangpa people, from their roots in Tibet, to the cultural and religious ceremonies they maintain today. 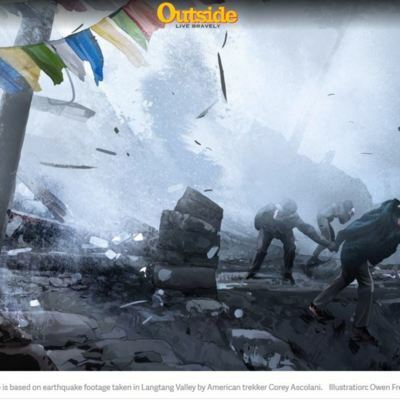 This exhibit links to coverage of the Langtang earthquake. Global coverage of the earthquake includes before and after images, and chronicles the process of reconstruction. 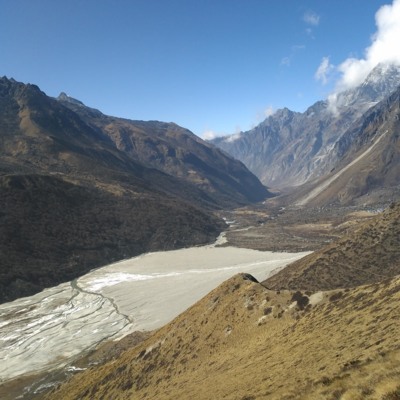 A virtual experience of the Langtang valley featuring photos and scoundscapes of wildlife, livestock, flora and every day life in the Langtang Valley. This exhibit explore the experience of the earthquake through photographs, video, and oral testimony.